Learn to separate microchipping facts from fiction! Having a microchip implanted will hurt my pet. No anesthetic is required for a microchip implant. The procedure is performed at your veterinarian’s office and is simple and similar to administering a vaccine or a routine shot. Pet microchips work like global positioning devices (GPS) and tell me my pet’s location. Pet microchips are not tracking devices. They are radio-frequency identification (RFID) implants that provide permanent ID for your pet. 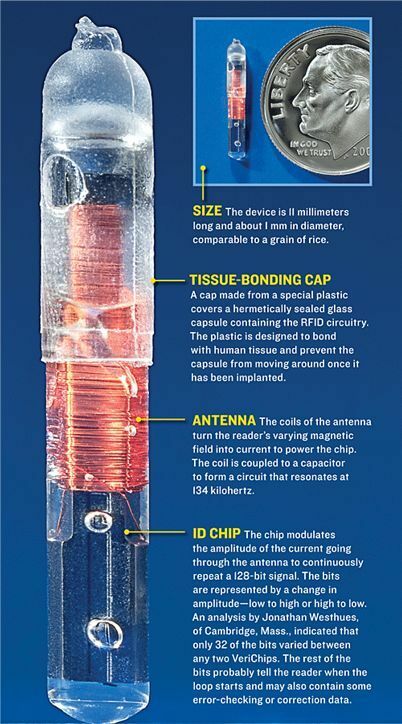 Because they use RFID technology, microchips do not require a power source like a GPS. When a microchip scanner is passed over the pet, the microchip gets enough power from the scanner to transmit the microchip's ID number. Since there’s no battery and no moving parts, there's nothing to keep charged, wear out, or replace. The microchip will last your pet's lifetime. My pet wears a collar with tags, so he doesn’t need a microchip. All pets should wear collar tags imprinted with their name and the phone number of their owner, but only a microchip provides permanent ID that cannot fall off, be removed, or become impossible to read. Only dogs, not cats, need to be microchipped. My contact information is contained in the chip, and anyone with a scanner can access it. I need to microchip my pet more than once. The HomeAgain® microchip has the Bio-Bond™ patented anti–migration feature to help ensure the chip stays where it’s implanted. Also, since microchips require no power source and have no moving parts, there’s nothing that can wear out and need to be replaced. Pet owners can also check to make sure their pet’s microchip is still working by asking a vet to scan it during their pet’s next checkup. Having a microchip gives a pet the best protection if he gets lost. Register your pet’s microchip in a national pet recovery database such as HomeAgain with your contact information, so you can be contacted when your lost pet is found. Also, remember to keep your contact information up to date whenever you move or change phone numbers.